Hello Friends! I hope your Saturday is going swell so far. I popped in with another Valentine’s Day card to share. 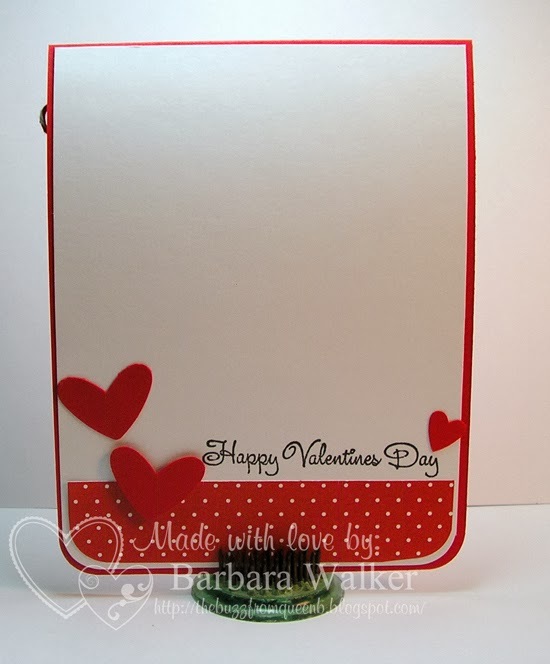 I have used this layout in the past and you can view that card HERE. I guess you could say I CASED myself! It’s a really simple layout. I punched out several hearts, glued them together and adhered them to the card front. I used some more of that scrumptious Diamond card stock by Bazzill. LOVE that stuff! It has texture and a sparkly finish and it’s wonderful to work with. Anyway…I used my favorite stamp set by Avery Elle for the sentiment and tied on some yummy twine to finish it off. 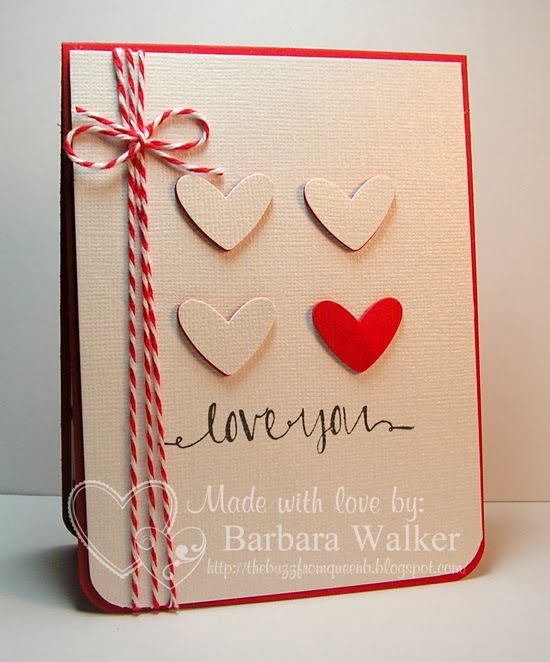 I am entering this card in the HAVE A HEART challenge at Simon Says Stamp. That’s it for me today. Thanks for dropping by. Hey, when you find a great design, why not use it again? *Ü* I think it looks fabulous. Love the That font is unique and I know you love it. I'm admiring that bow, too. It looks perfect! I hope you have a beautiful day, Barb. Very cute card! Love the four hearts and the sentiment suits it so well! Thanks so much for playing along with us over at the Simon Says Stamp Wednesday Challenge!